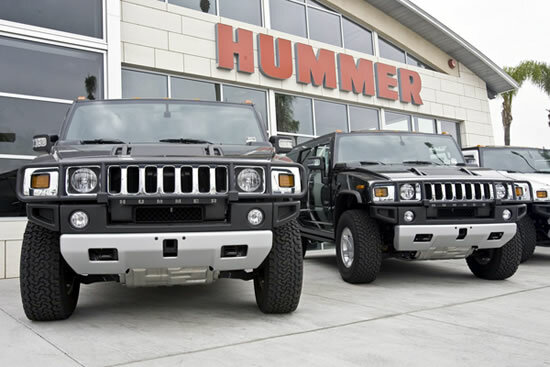 Hummers are known to be hunky macho vehicles that make most cars look puny. 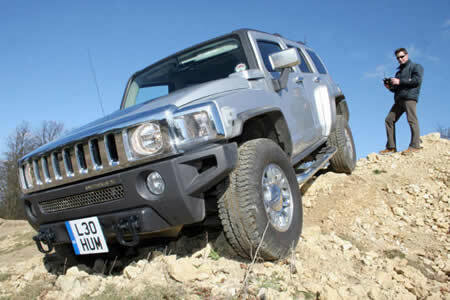 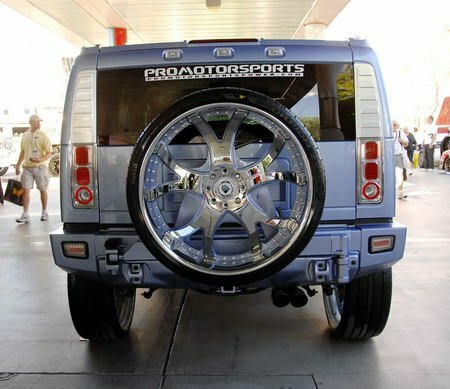 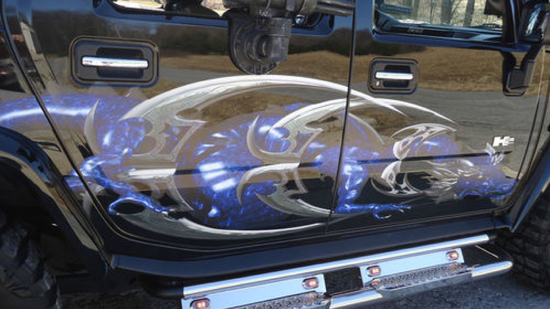 However, we’ve probably never come across a Hummer H2 this brawny, and hazardous. 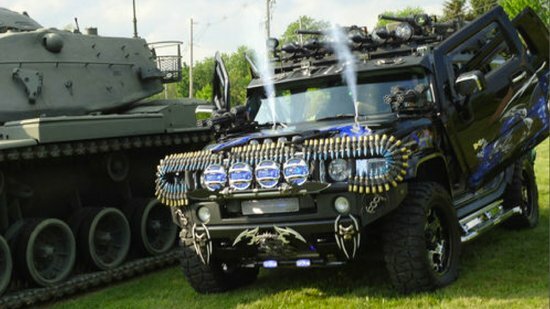 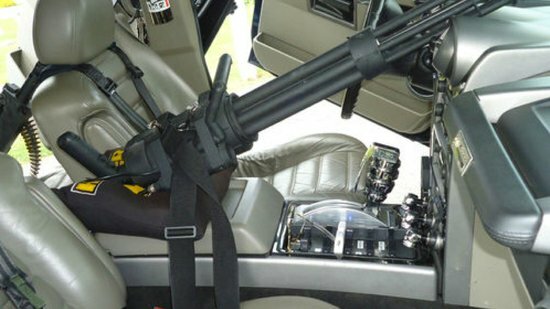 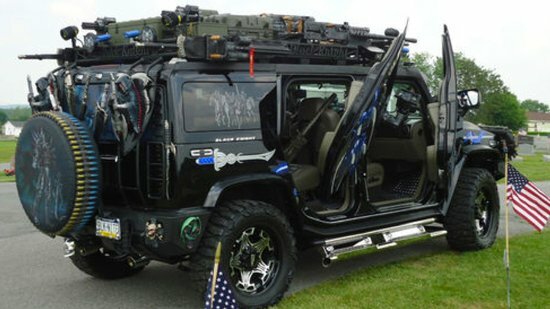 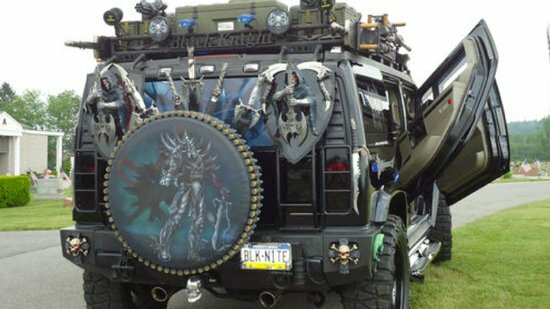 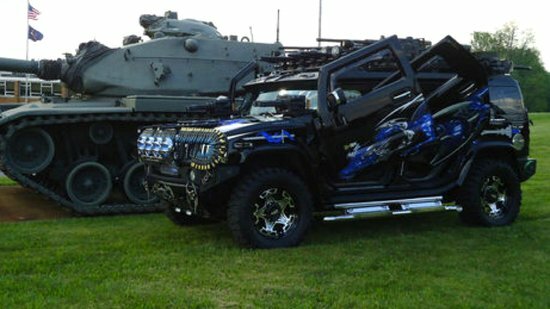 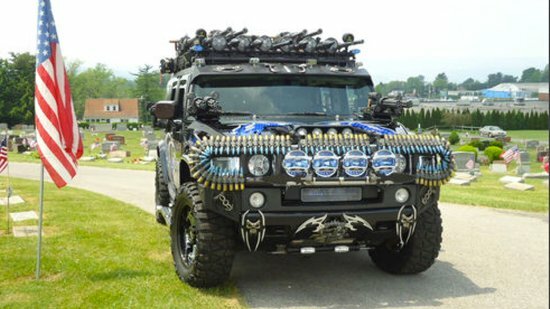 Called the Black Knight Hummer H2, this car, currently on sale on eBay for $55,000, sports more weaponry than you’d probably find on a standard government-issued defense vehicle, all of which however are hopefully non-functional. 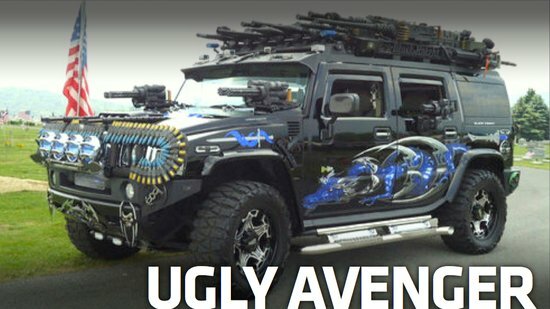 Packing seven MA Deuce 50 caliber machine guns with tripods, two 30 caliber M1919 machine guns, ten mini-guns with rotating action and four RPG (Rocket Propelled Grenade) launchers, this “weapon-display-on-wheels” also packs two Final Fantasy Swords, 56 inches long, mounted on the roof rack. 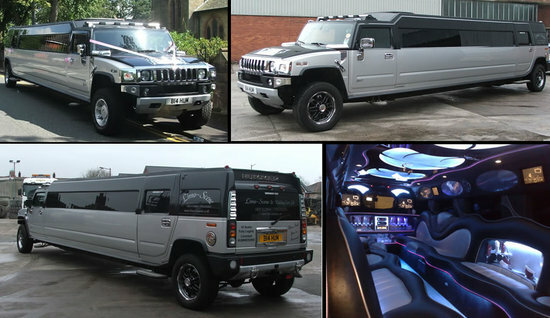 Complete with scissor doors and a cheesy vinyl sans which we think Batman would probably love this Hummer, the car has clocked 86,000 miles and has no remaining factory warranty. 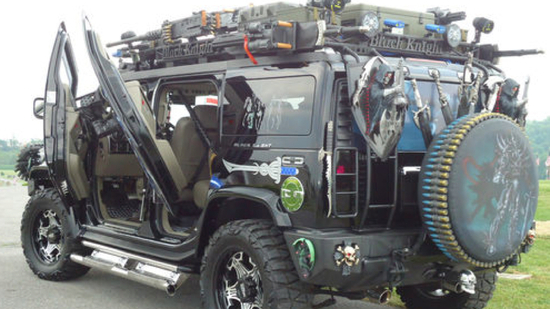 With a 2000 Watt Amp, 12″ Sub Woofers, fifteen multicolor interior lasers, two fire extinguishers and a lot more to top it all, this Black Knight Hummer H2 is indeed an ideal ride for a forthcoming zombie apocalypse. 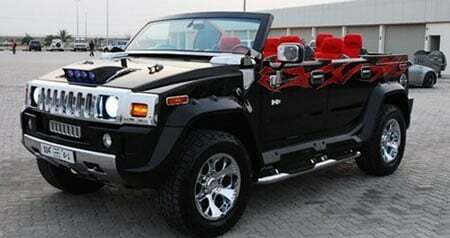 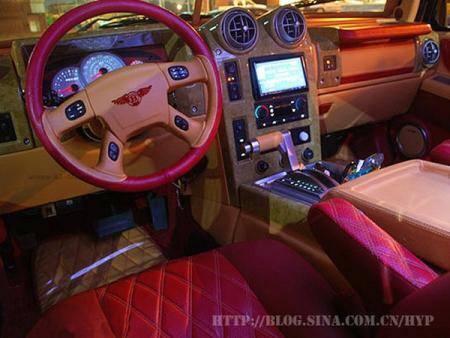 Dubai based Hummer-Bentley hybrid looks crass!